A couple of years ago, I talked about pitch tracking on the blog – and even shared my very basic DIY pitch tracker with a few of you. When we talked about relaunching and doing the Toolkit, the first thing I wanted to do was revamp the pitch tracker into something super cool and useful, because I know just how it’s made me a more productive pitcher-type person. Why do you need a pitch tracker? Because, if you’re anything like me, you have pitches all over the shop in all stages of limbo – waiting on the editor/client, commissioned, declined and in need of re-pitching elsewhere, and so on. Of course, you can toss pitches out into the ether and wait, twiddling your thumbs, to see if any bear fruit – much like you would with your CV or online portfolio when hunting for a job. But if you’re not monitoring those pitches and being diligent with follow-ups and learning from what went wrong, you’re not really doing yourself any favours. I firmly believe you can send your productivity skyrocketing if you track this kind of stuff – and it helps you whittle not-quite-right pitches into shape, and get more work. Seriously, it does! How does our pitch tracker work? First, you plug in your pitches. It doesn’t matter if these are pie-in-the-sky ideas, or in limbo. You enter the outlet, the date you sent the pitch, the contact email, a quick one-liner pitch blurb, a topical hook and the ‘status of pitch’ where you can choose from a pulldown menu depending on where your pitch is at (WIP, Research Stage, In Limbo, Re-Pitch, Completed). When the editor writes back about your pitch, you take notes on their response in the ‘Feedback’ column. So it might say, ‘Recently ran a similar story’ / ‘Not a fan of the angle’ / ‘Commissioned, 800 words due June 10’ or whatever the editor said. 2. You nurture relationships with follow-ups. If the feedback on a pitch isn’t great or is a rejection of your pitch, you can always leverage that to go back to the editor and offer to rejig the pitch so it’s more suitable or offer to approach the story via a different angle. You may well land a commission by doing so – and if not, promise the editor you’ll be in touch with a new pitch in a week. In doing so, you build a relationship that could well turn into steady work. If you don’t hear about your pitch, you can add a date to follow-up (and add reminder alerts in your email so you don’t miss sending those crucial emails). When you sell a pitch and complete it… change the dropdown menu next to it to ‘completed’ and it tallies up in the top right of the interactive dashboard. You can also see at at a glance how many pitches you have and in which stages. If you want to re-pitch an idea elsewhere… simply copy the entire row (overwriting the contact columns of course), which saves time. You can see how you pitched it before, and hone your pitch so it’s even better the second time around. I find it super motivating to eventually place a pitch that has been rejected, but that I know has legs – and the document forces you to think about the idea, the angle, how you’ve sold it and whether any of it nee ds tweaking. Use the tool to review your pitching. No more losing pitches or forgetting about them. This is an at-a-glance history of your pitching over the year, which is also – not surprisingly – very motivating and very helpful during slow patches. 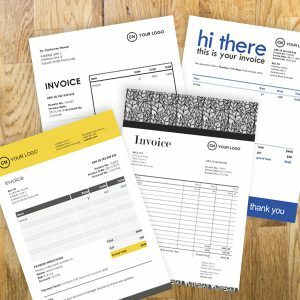 Let’s face it: how many times have you sent pitches out and forgotten about them? The story may be rejected or you may write it and that’s that – you’re onto the next thing. But could that idea work elsewhere? Is there an offshoot of the story or an interview you did that would spawn a great new piece? 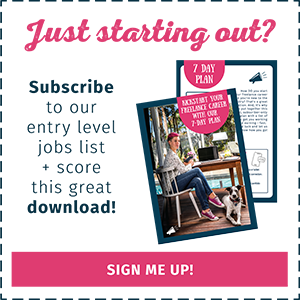 With your pitching document, you can easily see where and how to enlarge on your ideas. And because you’re rejigging pitches and polishing them and getting to know what type of ideas your editors like, your pitching can’t help but get better and better. You’ll find our new Pitch Tracker in The Toolkit – but thanks to those of you who entered to win one below. 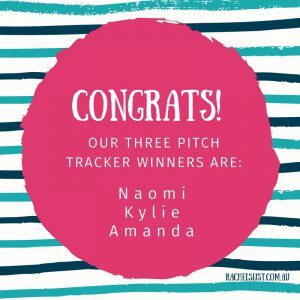 The three winners were plucked out with Random.org and they are: Naomi, Kylie and Amanda! Congrats gals. I’ll be emailing you the Pitch Tracker this morning. Hope you find it useful! As a kid, Rachel used to carry around a little suitcase of pens and paper so she could stop and write stories whenever inspiration struck. These days, she writes for a living, in between running the show at Rachel's List. Some of you may actually believe she looks like a megaphone in real life, but it's not the case. Honest. 6 responses on "Improve your hit rate with our new pitch tracker"
What a brilliant way to stay organised! 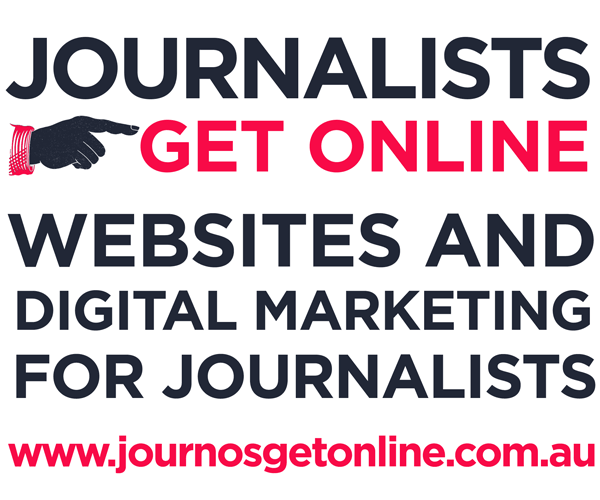 Although I’ve been freelancing for some time I am at the point where I want to build into full-time freelancing. A tool like this will start me out with great habits and give me confidence that I will be able to efficiently manage the workload, and maintain important relationships. Oh my gosh. This sounds amazing. I need this. I have a serious fear of pitching and rely almost exclusively on assignments–although I have a long list of ideas sitting on my desk at this very moment. I’m hoping this will motivate me to become a more active pitcher. I want to get better at pitching and work on improving my strike rate and increase income from feature writing this sounds like a fantastic tool! I’ve got used to pitching but still, after 10 years, I’ve never quite got used to rejections, or even worse, no response at all. This would be a great way to see an overview of the year, figure out if there’s a pattern to the rejections (is it timing, topic, angle). I tend to be a bit hit and miss and this Pitch Tracker may well be the answer to a better strike rate! Nice work, guys. Bring on some more organisation! I thrive on stats and figures and tracking… I’d love to pinpoint an exact hit rate for my pitches! Freelancing while working full-time means I am always only one step away from it all crashing down. With notebooks and post-its my only system, I keep things moving but not effective. 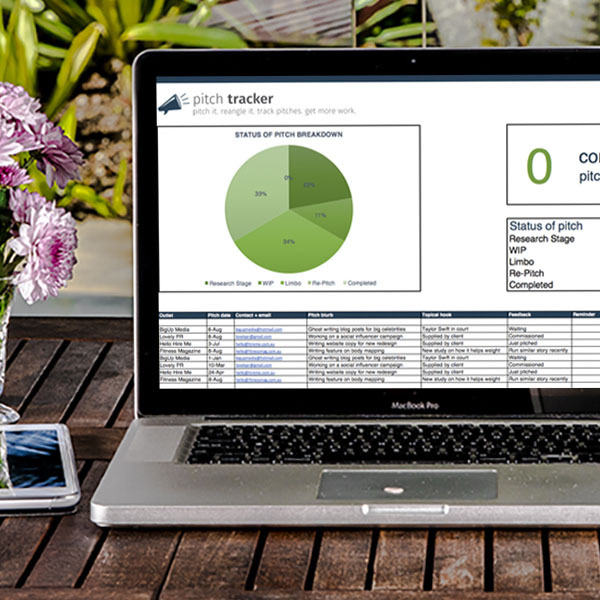 I would love the pitch tracker to help me formalize my freelancing and encourage me to be more active in reaching out. Just starting out? Join our entry level list! Mixing friends with business: yes, no, maybe? Addison on So you think you can be a beauty writer? Rachel on Mixing friends with business: yes, no, maybe?